Robert Saundby, the son of a doctor, was born on 26th April, 1896. Saundby joined the Royal Flying Corps during the First World War and was awarded the Military Cross for shooting down an enemy airship. Saundby remained in the recently created Royal Air Force and in 1925 won the Distinguished Flying Cross for gallantry in Aden. 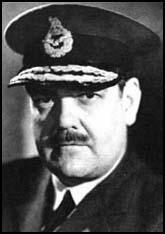 On the outbreak of the Second World War Saundby was appointed Director of Operational Requirements at the Air Ministry and in 1943 became Deputy Chief of Staff at Bomber Command where he worked closely with Air Marshal Arthur Harris. 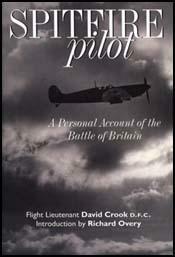 Saundby was promoted to the rank of air marshal at the end of the war and retired from the Royal Air Force in 1946. Robert Saundby died on 25th September 1971.